Air Barrier Goes on with a Trowel - Sto Corp.
StoGuard Gold Coat TA allows the user to apply the vapor-permeable air barrier material with a trowel rather than a spray system. 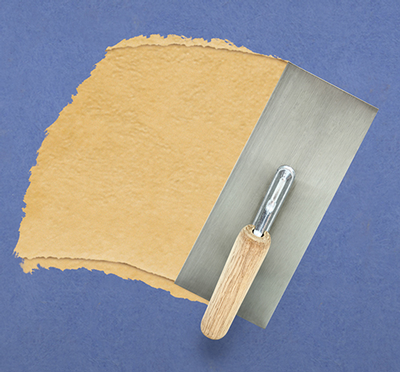 StoGuard Gold Coat TA allows the user to apply the vapor-permeable air barrier material with a trowel rather than a spray system, as required with the already-available Gold Coat product. It can be used in StoTherm continuous insulation systems. Gold Coat TA is designed to be troweled directly onto vertical above-grade sheathing and concrete masonry, according to the manufacturer. When used with StoGuard joint and rough opening treatment, the product forms a waterproof air barrier, the company says.